You’re playing a sit and go tournament, seated in middle position. The blinds are 500/1,000. 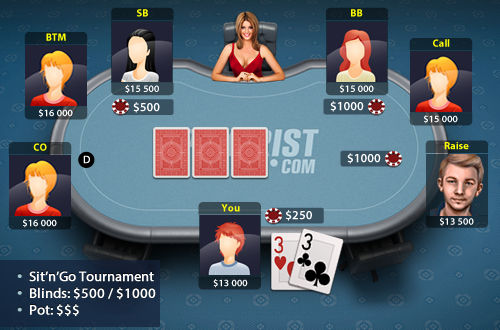 UTG+1, who is a passive player puts in a raise of 2,500 before the flop. Your stack size is 13,000 and theirs is 16,000. You have a pair of threes.